The 31st edition of the International Live Music Conference (ILMC) takes place in London from 5-8 March 2019 with an expanded schedule, a new one-day event designed to encourage young professionals and Roger Daltrey announced as the keynote interview. With over 1,800 live music professionals expected across the week, ILMC continues to be the leading annual gathering of the global live entertainment business. A host of German companies are supporting this year’s edition including DEAG, Semmel Concerts, Stagelink, eps, Commerzbank Arena, Megaforce & elh promotion. Discussion topics in 2019 will include pricing and ticketing, the latest venue trends, the agency business, diversifying programming, welfare, safety & security, the latest new tech innovations, the impact of external industry investment, the future of digital marketing, diversity, and, of course, Brexit, amongst others. Meanwhile, legendary vocalist and The Who frontman, Roger Daltrey is confirmed as the interviewee for the annual Breakfast Meeting session. ILMC 31 will run over three full days (Weds 6th – Friday 8th March) for the first time with Friday’s conference inviting an additional delegation of younger professionals (aged 30 and under) for a day of discussion about the future of the business under the name Futures Forum. With a packed day of practical workshops, mentor sessions, and progressive discussions, members are encouraged to send their younger team members along and benefit from a heavily subsidized day ticket price. 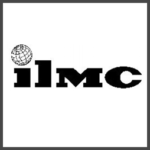 The full ILMC schedule will be announced in January, but full information, is on the website here.